The Mermaid with Muscles provides a full Ketogenic diet food list, Keto Diet Menu, Keto diet recipes, and shows you what foods get your body into ketosis to efficiently burn fat. Learning new meal prep ideas and easy recipes will help you stick to your Keto diet on a budget and in the middle of your already busy life. You can find any keto recipes from keto pancakes, keto snacks and Ketogenic dinners. Discover the benefits of weightlifting combined with a Keto diet menu to help you lose weight fast, how to burn fat naturally without burn fat supplements. You’ll learn exactly how to get fit and health, You’ll define self-confident! 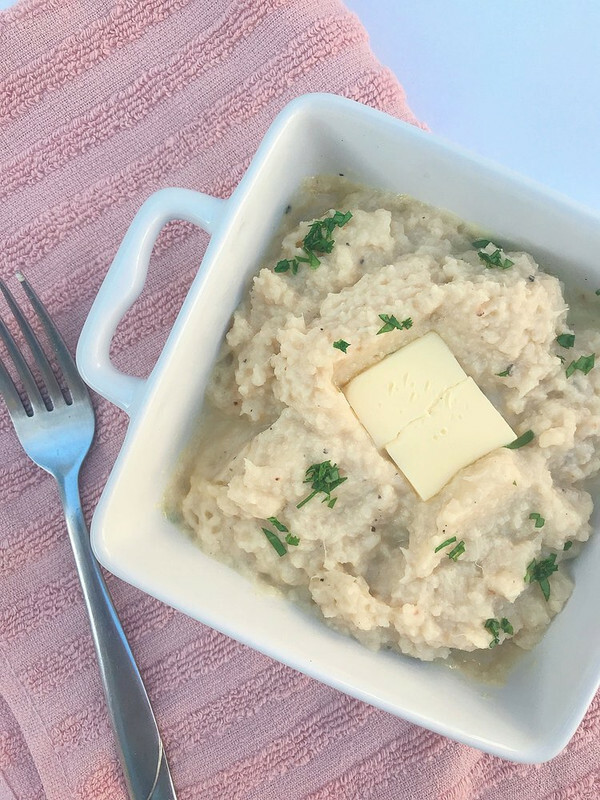 See the easiest way to make Keto Cauliflower Mashed Potatoes in the crockpot or instant pot. This Cauliflower Mash recipe is buttery, the perfect consistency and of course low carb and Keto friendly. Doesn’t the idea of cauliflower ‘mashed potatoes’ sound great, but the typical twenty step process sounds totally not worth it? Yea I’m right there with you. For months now I’ve been using the frozen cauliflower mash because I admittedly am lazy when it comes to my weekly meal prep. I want it to be easy peasy! On the other hand, ya’ll know I’m all about using fresh ingredients as much as possible, and after reading the back of the frozen cauliflower box well it’s not so fresh lol. I’ve been on a mission to come up with a super simple, buttery, garlic cauliflower mash recipe so I can finally kick that frozen crap to the curb! Mission accomplished! 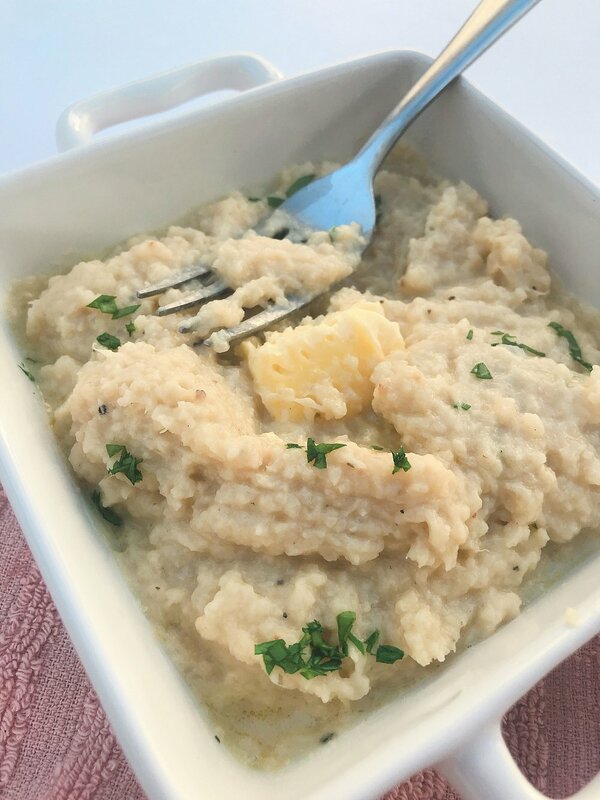 This slow cooker or instant pot, 5 step keto cauliflower mashed potatoes are so easy to make and of course delicious. You bet this will be a staple in my weekly meal prep and I hope yours too. so grab your crock pot, slow cooker or instant pot and let’s make some cauliflower mash shall we? For this recipe you will need two heads of cauliflower, if you want to try a small batch first you can easily cut the recipe in half, but I made this with intentions of having enough to eat for the whole week, and since my husband eats extra I will probably even double it next week. First, cut your cauliflower up, so you have just the florets and put them into your crockpot or instant pot along with 16 ounces of chicken broth. Once it’s ready you will want to drain out the chicken broth or else you’ll have cauliflower soup. No Bueno. With your hand held mixer blend until your cauliflower is all mashed up. Now you just have to add some flavor! Add in the butter, sour cream, garlic powder, onion powder, salt and pepper and mix it all up until well blended. And there you have it! Easy right?! Give them a taste test and of course doctor them up to your liking. If you want them to look extra pretty, you can sprinkle fresh parsley on top, but it’s totally not necessary. If you are serving these for dinner or a family get-together, you can leave them in the slow cooker on keep warm until you are ready to serve. Or if you are using them for your weekly meal prep, they keep really well in the fridge and actually taste even more flavorful the next day. If you try out this recipe be sure to share it and tag me on instagram @themermaidwithmuscles I’d love to see how it turns out! 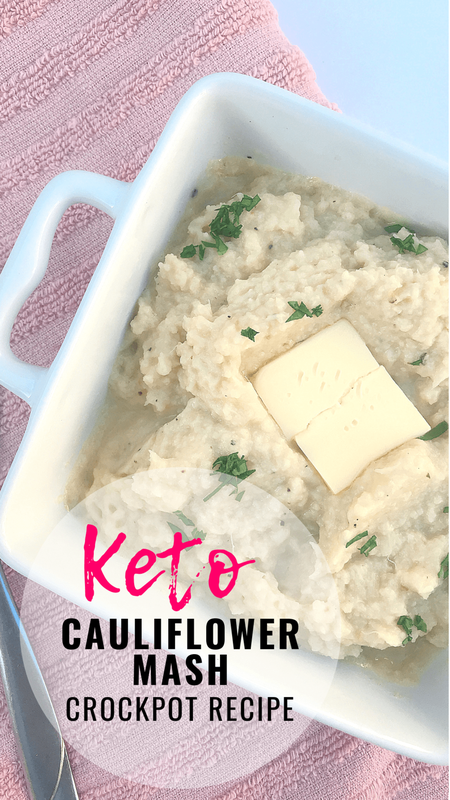 Keto Cauliflower mashed potatoes in the crockpot or instant pot. This Cauliflower Mash recipe is buttery, the perfect consistency and of course low carb and Keto friendly. * you can leave the cauliflower mash on keep warm until you are ready to serve or store in the fridge if you make them ahead. They taste just as good re-heated, if not even better. Nutritional information is provided and I keep it as accurate as possible. Keep in mind nutrition facts on all ingredients may vary depending on the different brands you may use. I am not a doctor and advise solely from personal experience. Please consult your doctor before adding any supplement or foods to your current diet. A complete workout and meal plan for weightloss and muscle gain for women. The Mermaid with Muscles provides a full ketogenic diet food list, keto diet recipes, low carb recipes and which are the foods that burn fat. You’ll find the best gym workout routines, gym workout tips, how to lose weight fast and how to burn fat naturally without burn fat supplements. You’ll learn exactly how to get fit and health, You’ll define self-confident. 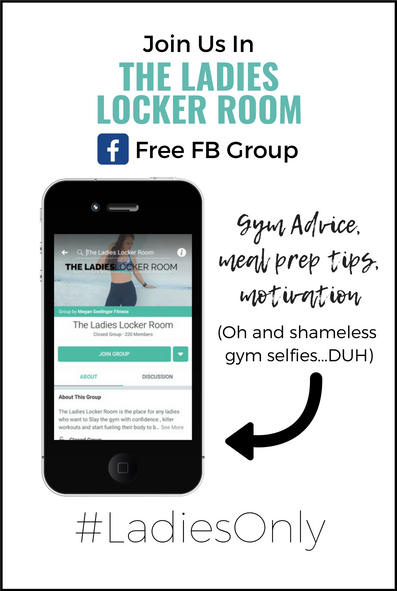 Sign up with your email address to receive Free workout plans, meal prep guides & weekly tips to get faster results. By subscribing to my email list you are giving me permission to send you emails, however, your email is for my eyes only, NO SPAM! If you do not receive an email right away check your spam and junk folder! From usually being the "bigger" one of all my friends with no confidence and a serious weakness for cookies. To a NASM Certified Personal Trainer slaying the gym, teaching thousands of women exactly what to do in the gym, and still incorporating cookies into my meal plan! After years of comparing my size 9's to my friends size 0's I was insecure, developed anxiety, not to mention clueless about what to do at the gym or in the kitchen. But then I made the biggest commitment ever...Find out what changed my life.